AGAINST THE GRAIN HAS MOVED! Our new address is http://christopherblosser.blogspot.com. It would be greatly appreciated if you could update your bookmarks and links and kindly inform your readers (the content of this old blog has been moved as well). He was a New York intellectual who left home, first politically, then physically, moving to Washington in 1988. ... his turn to the right joined by countless others, including such future GOP Cabinet officials as Jeane Kirkpatrick and William Bennett and another neoconservative founder, Norman Podhoretz. Among the host of publications he is credited as founding and/or editing was Commentary magazine (from 1947 to 1952); The Public Interest (from 1965 to 2002) and The National Interest from 1985 to 2002. Kristol's life, along with that of his fellow "New York intellectuals" Irving Howe, Daniel Bell, and Nathan Glazer, was the subject of the 1998 documentary, "Arguing the World". In July 2002 he was awarded the Medal of Freedom by President George W. Bush, the highest civilian honor in the United States. As to what "neoconservatism" was, Kristol identified it as not so much a "movement" as a "persuasion" -- "one that manifests itself over time, but erratically, and one whose meaning we clearly glimpse only in retrospect." He explored the subject in "The Neoconservative Persuasion" (Weekly Standard August 25, 2003) and in Neo-conservatism: The Autobiography of an Idea, a compilation of his writings on politics and economics. (I recommend as well Jonah Goldberg's three-part series on the use, and abuse, of the term itself -- "State of Confusion"; "The Neoconservative Invention" and The End of Neoconservatism). Though the son of non-observant Jewish immigrants, and not overtly religious himself, Kristol recognized mutual concerns and pursued strategic alliances with religious conservatives in his battle with secular humanism. The very word neoconservative, which was used, if not coined, by socialist Michael Harrington to describe his lapsed former comrades, was eschewed or ignored by most of its targets until Irving Kristol said, in effect, the hell with it, that's what we are, let's adopt the title for ourselves. I used to enjoy embarrassing secular Jewish Reaganites by taunting them for their alliance with the so-called Christian Coalition; I could have guessed that it would be Kristol who would write the essay saying that on many critical questions, from the family to Israel, these religious right-wing types had much to recommend them. Indeed, Wilfred McClay observes that Kristol [had] been preoccupied with questions of religious faith, and the inadequacy of the liberal and secular understanding of things, from the very beginning of his writing career. Kristol leaves behind his wife, the historian Gertrude Himmelfard and son, William Kristol, editor of The Weekly Standard. Archives of Kristol's work are available online at The Public Interest, Commentary and The New Republic. 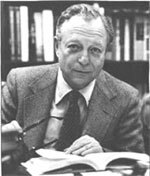 Irving Kristol, 1920-2009 - In memoriam, by William Kristol. The following remarks were delivered by William Kristol at the funeral service for Irving Kristol, Congregation Adas Israel, Washington, D.C., September 22, 2009. My Irving Kristol and Ours: What the master taught his apprentices, by Mary Eberstadt. Weekly Standard 10/05/09. A Genius of Temperament: Joseph Epstein remembers Irving Kristol Weekly Standard 10/05/09. Irving Kristol: The man who put 'neo' into conservatism (Wall Street Journal 9/19/09). Irving Kristol, Catholic Social Ethicist?, by George Weigel. "The Catholic Difference" 10/14/09. Irving Kristol, 1920–2009, by Joseph Bottum. First Things November 2009. Irving Kristol's Reality Principles: A great mind exposes ideological illusions, while thinking through better alternatives Wall Street Journal excerpts from essays that appeared in the WSJ by Irving Kristol. 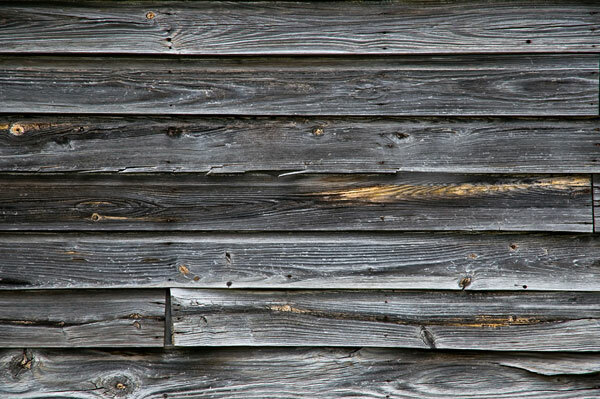 Against The Grain is the personal blog of Christopher Blosser - web designer and all around maintenance guy for the original Cardinal Ratzinger Fan Club (Now Pope Benedict XVI).